I honestly came into the forum of blogging as a means to keep my extended family and friends (though the two are truly one) abreast of how our family is coping with the new life we have come into. The new life began with the diagnosis, on March 12th 2011, of a hemorrhaging mass on the brain stem of our, then, twenty year old, newly home from a tumultuous combat experience with the United States Marine Corps, son. Of course we know now that he was enduring the extreme weather conditions and the extreme conditions of combat in Afghanistan, while his body was fighting its own battle…within the brain. Fast forward to today. I am now formally inducted, by way of being bestowed a kind gesture of an award, into the blogging world and recognized as a viable presence within this cyber forum. With the granting of the title, Beautiful Blogger, comes a responsibility to respond in a manner appropriate to the occasion (basic good manners remain a requirement, no matter the space in which one dwells). And so I dedicate this page to thanking the two bloggers who thought my prose, poetry, and nonsense keen enough to recommend, “Fly on the Wall” http://flyonthewalljamyd.wordpress.com and “Prego and the Loon” http://pregoandtheloon.wordpress.com I am truly grateful, thank you both. If perchance you brew me a pot of joe that resembles, in taste, dirty water, I will not refrain from telling you so. I like to grind my coffee beans into a fine powder, even when not using them within an espresso context. Point Break, hole in the wall cafe, on Shelter Island, San Diego, has a very good tasting, regular brewed coffee. Café Madeleine, in South Park, San Diego, serves the traditional Italian latte, in a glass cup…yum! Starbucks, though a beacon of comfort for me–a link of sorts to home–does not serve great coffee. …I also appreciate you being here. Velodrome! What velodrome? Hahahahaha. 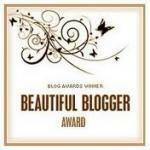 Congrats my very beautiful blogger friend. That little clue was written just for you, my friend! Congrats Louise from your friend Thelma. You rock. And I must be getting old cause watching guys with nosebleeds pull out their teeth was TMI for me! You forgot to mention the time of day you must have your coffee. When you first wake up and between the hours of 1:00pm and 2:00pm and if that doesn’t happen watch out world especially if you are driving a car and wearing red lipstick.